9 April 2019. Brussels. FFA2019 : The next generation. The Forum for the Future of Agriculture (FFA) has been contributing to the debate on agriculture and the environment in Brussels since 2008. The FFA is now firmly established as the premier event where agriculture and environment meet each year for an open dialogue. Climate change: Are we doing enough? IRP (2019). 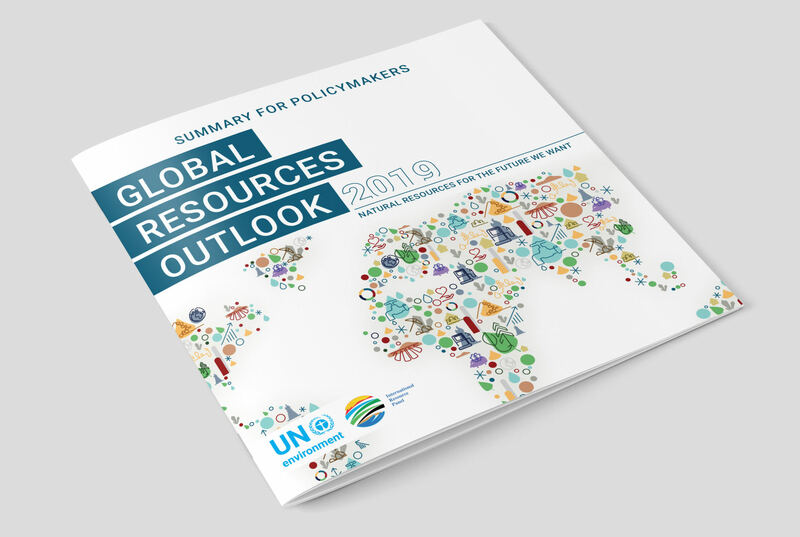 Global Resources Outlook 2019: Natural Resources for the Future We Want. A Report of the International Resource Panel. United Nations Environment Programme. Nairobi, Kenya. The analysis and modelling presented in this report are a first attempt to understand the impacts of our growing resource use, and to develop coherent scenario projections for resource efficiency and sustainable production and consumption that decouple economic growth from environmental degradation. A Historical Trends scenario shows that the current trajectory of natural resource use and management is unsustainable, while a Towards Sustainability scenario shows that implementing resource efficiency and sustainable consumption and production policies promotes stronger economic growth, improves well-being, helps to support more equal distribution of income and reduces resource use across countries. The final message of this report is one of hope and optimism. While additional research is needed, an extensive knowledge base from the International Resource Panel about natural resources use and their impacts exists. Well-chosen and coordinated sustainability actions can achieve our international ambitions for prosperity within planetary boundaries. Using the results from this report, multi-stakeholder collaboration, and innovative solutions, we can resource the future we want. 26 March 2019. A new Afrobarometer data from 34 national surveys explores the perceptions and preferences of ordinary Africans when it comes to international migration. Findings show that more than one-third of Africans have considered emigrating, though far fewer are making actual plans to leave. The data support concerns about human-resource drain: The young and the educated are most likely to consider going abroad. Finding work and escaping economic hardship are the most frequently cited reasons to consider emigrating – fully in line with our earlier findings that unemployment is the most important problem that Africans want their governments to address.